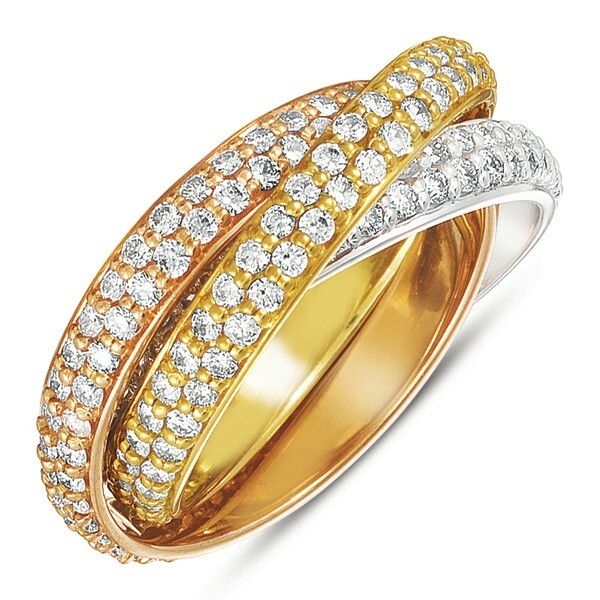 This unique tri-color pave diamond eternity ring contains 2.80ctw of F/G color, VS2-SI1 clarity round cut diamonds around all three bands. The ring is designed to roll onto the finger and it is made with 14K white gold, rose gold and yellow gold. All finished rings will ship within 7 - 10 business days of placing your order. For rush orders, please contact us or include comments in the notes section of the check-out process.